Dhemaji is a district in the state of Assam in India. Motor Vehicle Act 1988 has set guidelines for the execution of Dhemaji RTO. It is headed by the Transport Commissioner. The motive of the establishment of Dhemaji RTO is to regulate the transport and traffic in the city. It performs multifold functions to ensure smooth flow of traffic. Execution of Motor Vehicle Act of 1988. Incur Vehicle Excise on all modes of transport. These tax are levied as per latest tax criteria. Arranging sessions to create an ecosystem of Road safety and traffic rules awareness. Facilitating ease of information online in the context of Dhemaji RTO. Making the entire process of Dhemaji RTO automated for the ease of the users. Managing the Vehicle Registration process and issuing the RC to the vehicle owners. Organising all kinds of driving tests for issuing the driving license. Swift dispatch of DL after verification of documents and conducting the tests. Assisting in License Renewal Process. 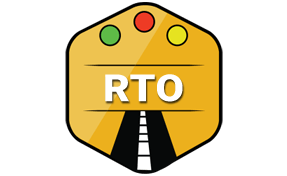 Responsible for collecting all applicable Road tax for all kinds of vehicles. Maintaining law and order pertaining to the transport. The District Transport Office (DTO), Dhemaji Bharali chowk, Assam – 787057.